NewWorshipResources.com is moving to WorshipResources.church! We are hard at work on a brand new site that will reflect our name change. And the new site will have hundres of new free and inexpensive resources your church will love. Stay tuned. This is going to be awesome! Free and Inexpensive Resources for your Church. From motion backgrounds to series graphics, tech help and how-to’s. We help your church do more with less. It’s hard to do everything you want with a limited budget. We Get it. That’s why we’ve curated the best free and inexpensive resources on the web to help you stretch your budget dollars and help your church do things with quality and excellence every week. These are the best motion backgrounds around – quality products that will help enhance your visuals. We understand a lot of Worship Leaders are responsible for creating graphics for sermons. These resources will help you save time and money. A quality website is absolutely necessary for every church. Find out how your church can have a site they are proud of without breaking the bank. Technology can be overwhelming. These ideas and guides will help you decide which technology is best for your church and how to use it confidently. By now you’ve heard about click tracks, but how do you get started using them? It’s not as hard as it seems. You want your screens to look great each week – these resources will help you do just that. We’ve browsed hundreds of websites, found the good stuff, weeded out the clip art and put all the best resources right here for you to use. Here’s some of the most popular free resources we’ve found. Download them today and start using them for your church! We’d love to connect with you and hear how you are using these resources in your church. Fill out this form to download our PDF that will instantly help your screens look better. No more clip art, no more Microsoft Word - just quality and free. We will never sell or give away your email. We hate spam too! And you can unsubscribe anytime these resources are no longer valuable to you. 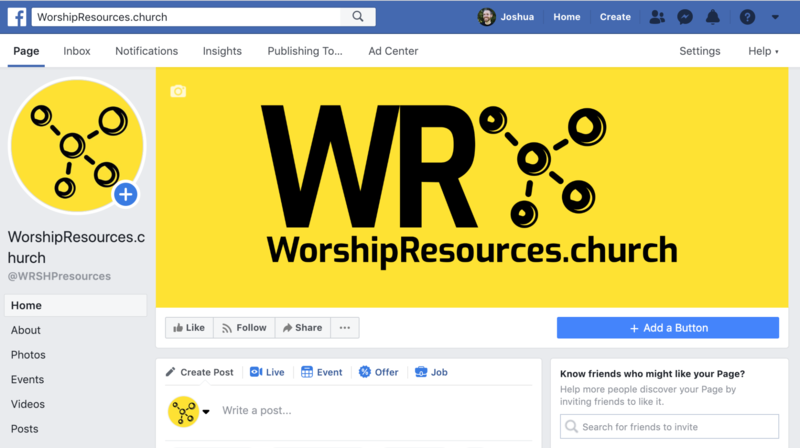 Connect with us on Facebook and join a community of Worship Leaders that do what you do. If you have some money, this is where we think you should spend it. Unlimited downloads of thousands of motion backgrounds, countdowns, sermon videos and so much more – all for one yearly price. This value is hard to beat. They even have license options for you to use their content online (streaming, social media etc.). When I’m looking for a chart, leadsheet or orchestration, PraiseCharts.com is the first place I look and 99% of the time they have just what I need. In addition to charts, they also have click tracks, multi tracks and rehearsal tracks for a good portion of their catalogue. You can purchase songs a la carte or buy credits and save money. Use credits to purchase the songs and resources you need. Planning Center is a suite of incredible apps that will help you be better at just about everything you do. Plan your services, schedule volunteers, manage groups, register people for events, and communicate better with these affordable apps. Every church should use the power of Planning Center to their advantage. Websites made easy. Seriously, a Square Space website is hard to mess up. Their user friendly interface and professional tools make building a website for your church quick and painless. And their pricing structure is hard to beat. Just $18/month (billed annually) gets you a bunch of features and a website that you’ll be proud of. It is essential for every church to have a website. Square Space is a great place to start. Have a Resource we should feature? Fill out this form to let us know of any resources you think would be good for churches to use. Inexpensive is good. Free is even better!